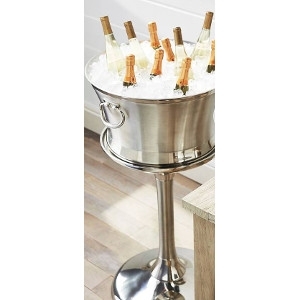 This elegant beverage tub holds up to 11 bottles of wine. It may be used in door or out doors. The double-walled stainless steel allows for maximum cold retention and no condensation.